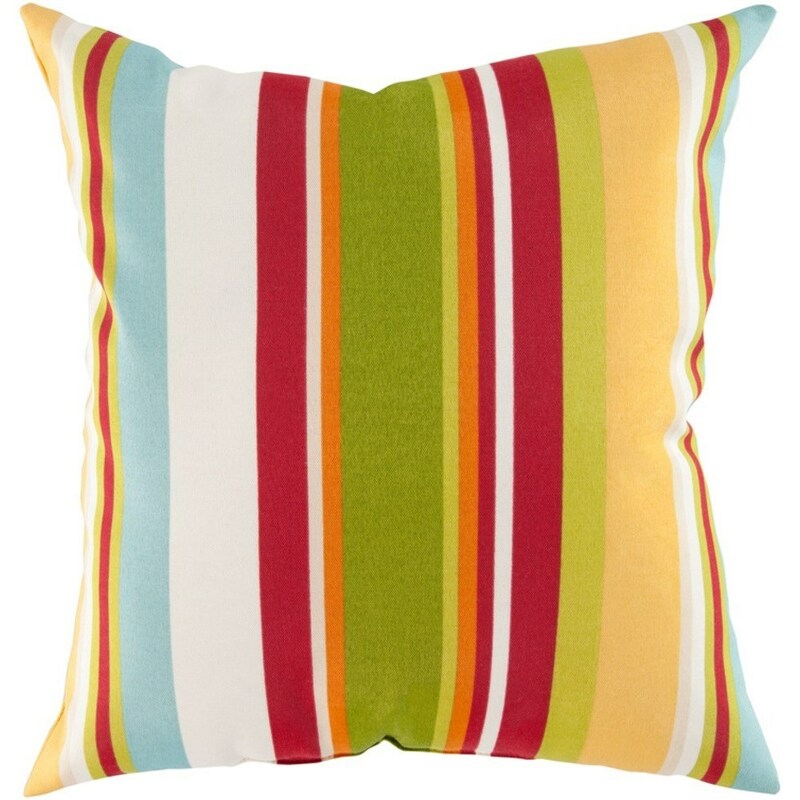 Mix it up and add a kaleidoscope of color to your space with this perfect pillow. Featuring a multicolor stripe design, this piece crafts a fun, upbeat look sure to spice up any space. .Genuinely faultless in aspects of construction and style, this piece embodies impeccable artistry while maintaining principles of affordability and durable design, making it the ideal accent for your décor. The Storm 10815 x 19 x 4 Pillow by Surya at Del Sol Furniture in the Phoenix, Glendale, Tempe, Scottsdale, Avondale, Peoria, Goodyear, Litchfield, Arizona area. Product availability may vary. Contact us for the most current availability on this product. Browse other items in the Storm collection from Del Sol Furniture in the Phoenix, Glendale, Tempe, Scottsdale, Avondale, Peoria, Goodyear, Litchfield, Arizona area.